Again, Talia loves anything messy and she loves painting. 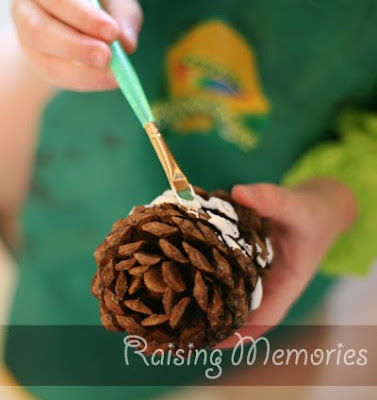 I grabbed a few of the cinnamon-scented pinecones leftover from Chrstimas so she could make some snowy pinecones. 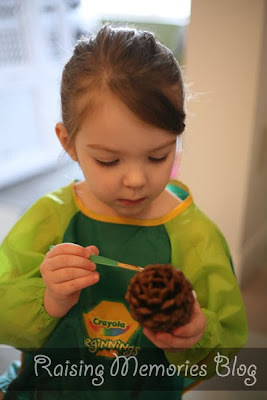 I think it would be a great idea to go on a nature walk & find your own pinecones (like Emily at Learning Vicariously did), but we haven't done that, so this was the next best thing.